New business for Alfred, Threepipe, Racepoint, Hotwire, Wildfire, Radioactive; new people at Here, Reckitt Benckiser, Caliber, W Communications; a new partnership for Lewis. 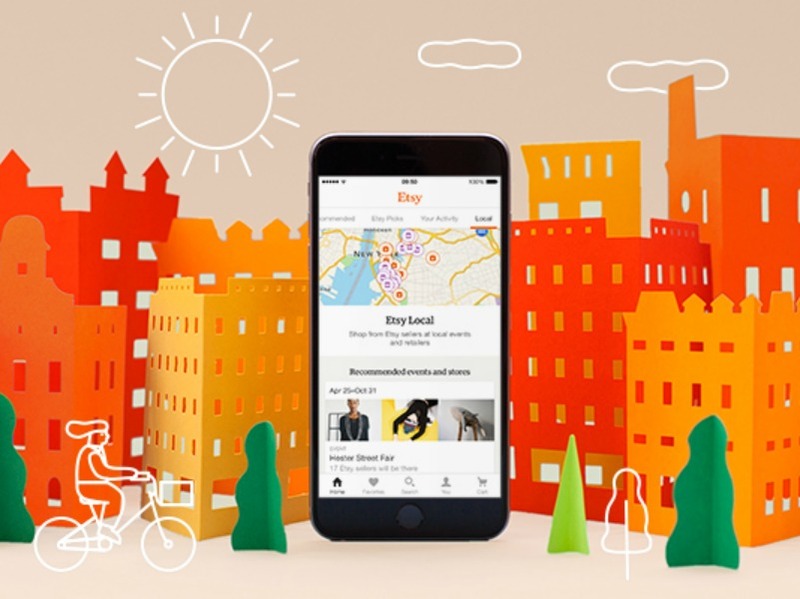 LONDON—Etsy, the global creative commerce platform, has appointed Alfred to support corporate communications for the UK market, with the task of building Etsy's profile in the UK. The team will run a corporate campaign, to build understanding and awareness of Etsy's business model and commitment to empowering creative entrepreneurs in the UK. AMSTERDAM—Here, a leader in mapping and location services, has named Dirk Popp as global head of corporate communications. In a newly-established role, Popp will oversee the company's global and local external communication strategy and execution, including PR, social media and marketing communications. Popp had been serving Here on a consulting basis prior to his new role. Until mid-2016, he was CEO of Ketchum Pleon, where he worked for 20 years—since the firm’s origins as Kohtes & Klewes. SLOUGH—Consumer goods company Reckitt Benckiser has appointed Miguel Veiga-Pestana as senior vice president of corporate communications and external affairs. Veiga-Pestana joins RB from the Bill & Melinda Gates Foundation, where he was chief communications officer. Prior to joining the Foundation, he served as vice-president, global sustainability strategy and external advocacy, at Unilever. LONDON—Threepipe will manage consumer and trade media relations and social campaigns for the new Merchant’s Heart brand, which is being brought to market by LR Suntory. Threepipe will be helping to connect the brand with the right media, influencers and industry figureheads as well as building the brand's presence across key social channels. EINDHOVEN—Lewis has forged a strategic partnership with Smarp, a software-as-a-service provider responsible for one of the leading employee advocacy platforms worldwide. The partnership allows Lewis to expand its recently launched employee activate product by offering clients a real-time content, curation, amplification and measurement platform that will enable them to further increase the impact of their employee advocacy programmes. LONDON—Digital marketing agency Caliber Interactive has named former Grayling COO Rav Singh as its new global chief executive officer. He joins the team having previously held senior posts at MMD Corporate & Public Affairs, Grayling and Huntsworth, as well as MHP Communications and most recently as COO at The Moment Content Company, a spin-out of TV production firm Twofour Group. NEWCASTLE—W Communications has added a Newcastle office that will offer consumer, corporate, influencer and social expertise and supplement existing offices in London, Singapore and Amsterdam. The office will be led by former Freuds executive and Glue PR founder Christian Cerisola. LONDON—Racepoint Global is working with Hudl, a performance analysis tool for sports teams and athletes at every level. Racepoint was tasked with creating as much media coverage for Hudl ahead of an FA cup 5th round game between Lincoln City and Burnley, positioning the tool as a key component in Lincoln’s success. GLOUCESTER—Consumer agency Radioactive PR has added childcare services platform Childcare.co.uk, to its roster of clients. Radioactive will provide PR and media relations support for Childcare.co.uk, with a strong focus on building authoritative links and brand awareness. LONDON—Plastic Logic, an industry leader in the design and manufacture of glass-free electrophoretic displays, has appointed technology PR agency, Wildfire, to help the company establish itself as the primary global authority on EPDs. The firm will raise Plastic Logic’s profile in China, Korea and Taiwan, as well as enhance its brand position across Europe, and support the company in capitalizing on the limitless opportunities presented by plastic electronic displays.